Any medieval warrior would have avoided confronting anyone who carried any of these rare, deadly and cruel weapons of the ancient world. For centuries, men devised instruments to crush, torture and assassinate their opponents, long before the existence of modern weapons that eliminate people in a few shots and from a distance. The weapons of antiquity stood out for having methods which, undoubtedly, none of us would wish to experience. Take a look at some of these sinister models. Characteristic to be an iron hand, the Zhua (that in literal translation means claw) was a weapon widely used in the China of the imperial time. This extravagant fight instrument was required to extract the skin and parts of the bodies of the people, being able to become an agony extremely painful. When a Zhua was in the hands of skilled soldiers, people could be knocked down from their horses by being trapped in the claws (or fingers) of the Zhua. 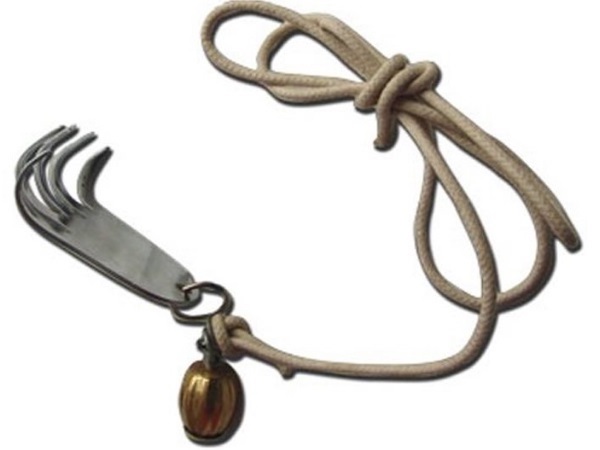 The Katar originated in India and is made up of a kind of bracelet connected with a group of sharp blades (typically three), designed to appear to be an extension of its carrier arm. 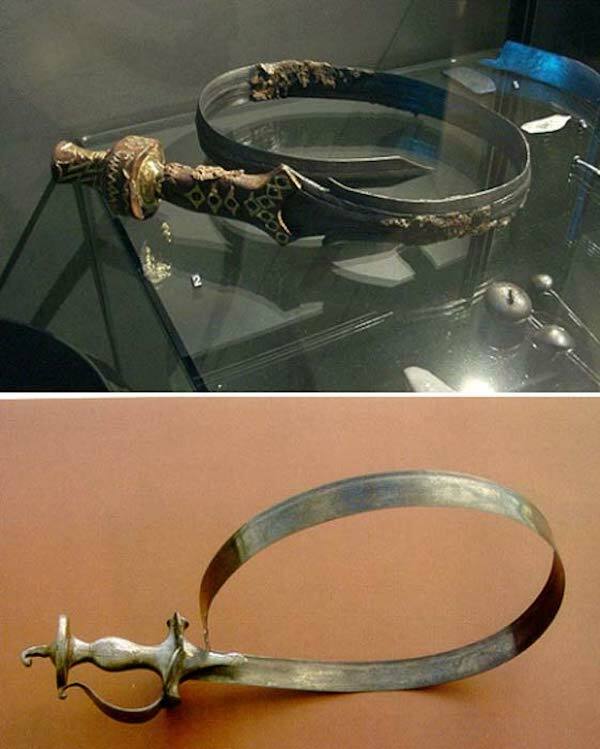 This fighting device was widely used by mercenaries in antiquity, with Katar being able to execute victims in a silent, fast and accurate manner. It was also designed to pierce the armor and make quick attacks. In some places it was known as Aara, this mortal tool is also of Indian origin. Essentially it is a long sword (which in some cases could reach up to the impressive three meters in length), but with an extremely flexible blade. As the steel used for its processing was quite malleable, its attacks were similar to those caused by a whip, but with much more serious results. The Bees Nest is a kind of Chinese weapon formed by a hexagonal tube that enveloped a total of 32 arrows. Apparently harmless, the 32 arrows could be fired at the same time on the target when they were operated with fire, like small rockets. With 32 arrows flying straight at you, it was unlikely that you could escape alive in the event of an attack. 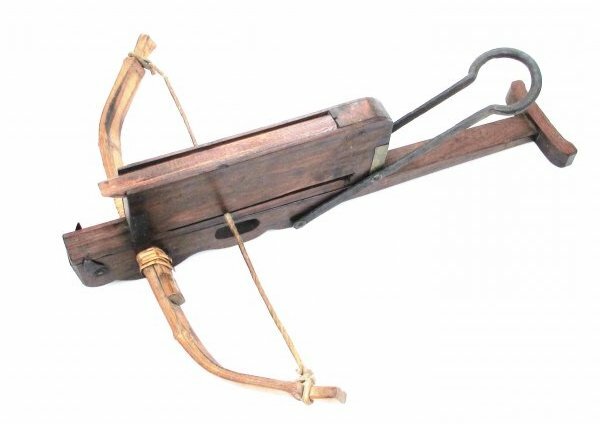 Another war device of Chinese origin, the Chukonu, although it looks like a modern crossbow, is practically an ancestor of the automatic rifle. The wooden compartment located above allows to load ten arrows, which automatically enter the firing position once the previous one is fired. On average, the ten arrows could be thrown in just 10 seconds, causing enough damage and saving time during an attack (archers took much longer). To make matters worse, the arrows were impregnated with doses of poison. This weapon native to India can become extremely fatal. 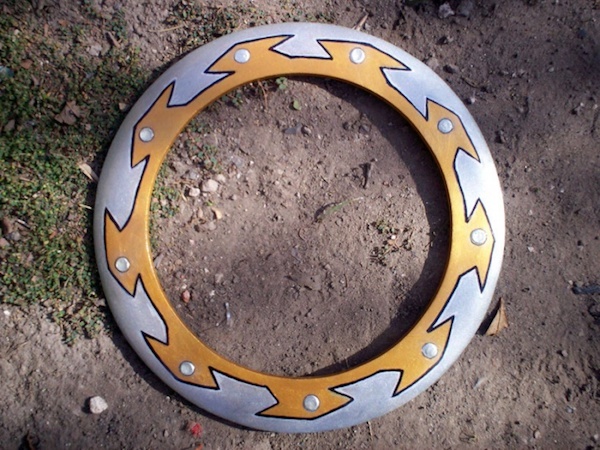 The chakram is a circular device and reasonably sharp at its edges. When thrown it can cut the limbs of the victims with relative ease. However, to handle it properly is necessary to have training and skill. This deadly steel frisbee is usually 30 cm in diameter and is always thrown vertically. The name may deceive, but by no means is it about the commercial scissors we have in our homes. The scissors worn by the gladiators in Rome during the Roman Empire boom were mortal and extremely painful. 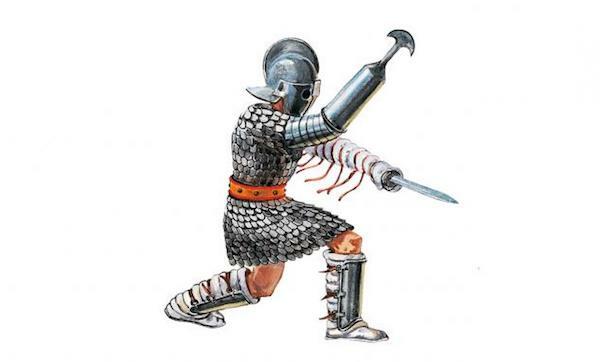 The metal device was attached to the arms of the warriors (similar to Katar), allowing to launch attacks and block them. Made of heavy metal, these pieces measure approximately 50 cm. 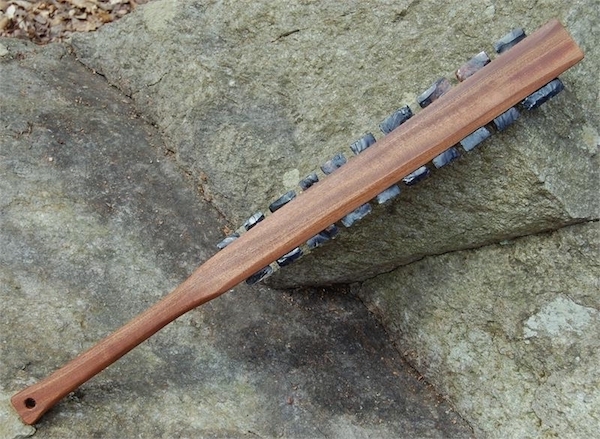 Appearances can be misleading, as macuahuitl is a very painful weapon, despite its inability to pierce the enemy. Basically, it is a large piece of wood, shaped like a sword and with small pieces of obsidian embedded in both sides. This weapon of war was used by the Aztecs as a kind of bat and in the common sacrificial rituals. The Azande, an African tribe, used this variation of a knife as a deadly weapon. Some models even exceeded 60 centimeters, and almost all had three blades that were constantly sharpened. When the warriors, carrying this weaponry, married, they gave their Kpinga to the woman’s relatives. 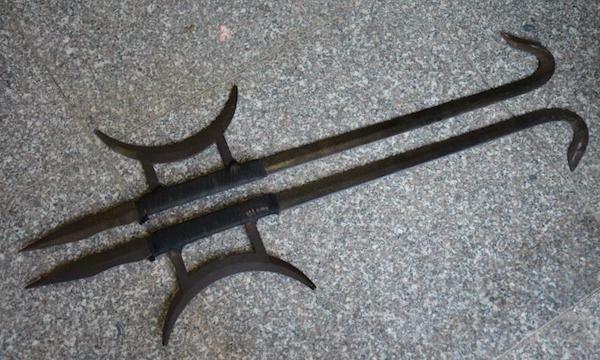 The hook-swords originally from China were initially made by the Shaolin monks as defensive weapons. 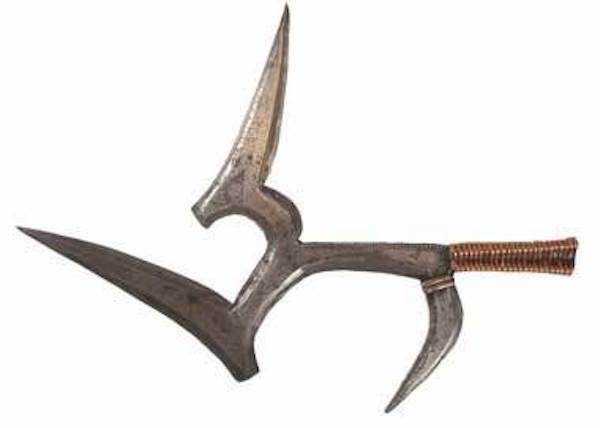 These devices are characterized by being slightly curved and having a shape of a hook at one end, in addition to that they can be connected to another sword. They may not be as cruel as the other weapons on that list, but they could be deadly if they were well manipulated.